Twickenham Stadium's meetings and events arm, today unveils a new Roaring Twenties party package, alongside a Dickensian private dining experience in the stadium's exclusive Wine Cellar, to celebrate Christmas 2017. The new party package will aim to create a Roaring Twenties experience, with two of the venue's suites being transformed to create the 1920s theme. The stadium will be offering both shared and private party packages, both of which will include a dedicated event manager, casino tables, a DJ and a choice of either a three-course seated dinner or two-course festive carvery. The private dining package will deliver a Dickensian Christmas inside Twickenham's hidden Cellar. The intimate dining experience for up to 14 guests will include a champagne reception upon arrival, a complimentary bar, themed décor and a three-course menu, with each course being accompanied by a selection of fine wines. Some options from the menu include: tea smoked salmon, avocado and coriander puree with fennel seeded croute; orange and tarragon roast turkey carved at the table with rosemary and confit garlic roast potatoes, sage and onion stuffing, poached carrots and sprouts served family style; and baked custard and nutmeg tart, Morello crème fraiche and almond crumb. 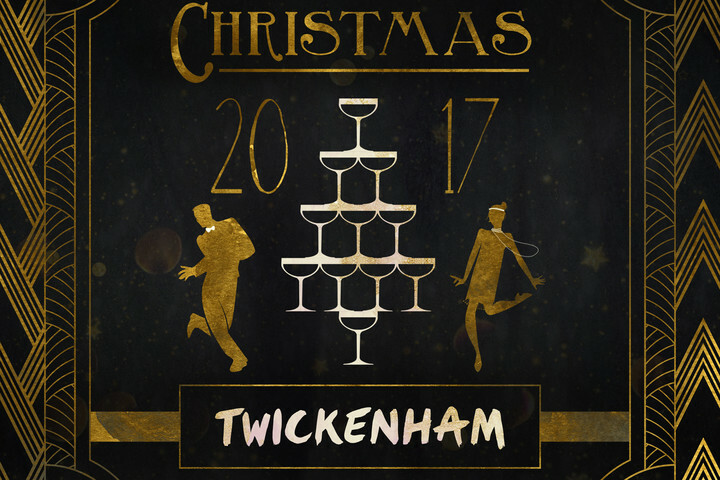 Andy Waters, Operations Manager at Twickenham Experience, says: "Every year we aim to create a unique and fun Christmas party package concept that everyone can enjoy, but this year it has been made extra special as we have dedicated a specific theme to complement one of our most exclusive and interesting private dining spaces, something we have not done before. Both the Roaring Twenties and Dickensian Christmas themes have been designed to capture the imagination of our attendees and take us back in time to enjoy two very different experiences. I am looking forward to seeing them come to life during the festive period." A Christmas showcase event is set to take place at the stadium on behalf of Twickenham Stadium in September. Over 100 clients are set to attend the showcase which will offer all guests an exclusive insight into the set up for the 2017 Christmas party season. A limited number of media places are available on request. 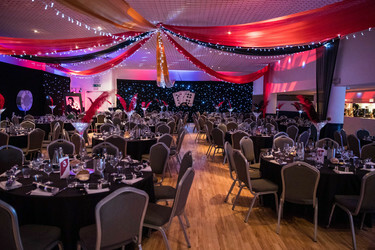 Twickenham hosted a Christmas preview night on 8th September to showcase the venue for Christmas parties this year.